Category "Food Tips & Hacks"
Have an ingredient but don’t know of many ways to incorporate it in a meal? 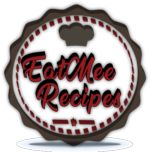 EatMee has made it possible for you with our great Food Tips & Hacks. Ever tried to cook a meal, bake some treats or make a snack & sometimes it just takes forever to get it done? EatMee has come up with the most easiest Food Tips & Hacks to change that & allow you to enjoy every second spent in your kitchen. Some of us love cooking/baking but just need some help getting things done faster & efficiently. Then there are others that just dread cooking up a storm & eventually you end up turning your kitchen into a tornado – meals end up tasting bland & looking disastrous. That’s where our handy Food Tips come in, to help you save the day & time in your kitchen. Food Hacks became a part of our new generation & then food started getting hacks which was brilliant! It has been trending all over Social Media & it’s just basically a new way to cook or bake efficiently. It saves you on time & gives you skills that you thought you’d never had! With our easy, simple hacks, you’ll be cooking & baking with ease. If you’re clueless as to where ingredients are stored, then you’re at the right place. We also offer storage information for different vegetables & meat products; in order to help you prolong their shelf or refrigerator life instead of opting to trashing them. Our food tips & hacks are complied to help those that want to or have to be in the kitchen be it amateurs to experts.